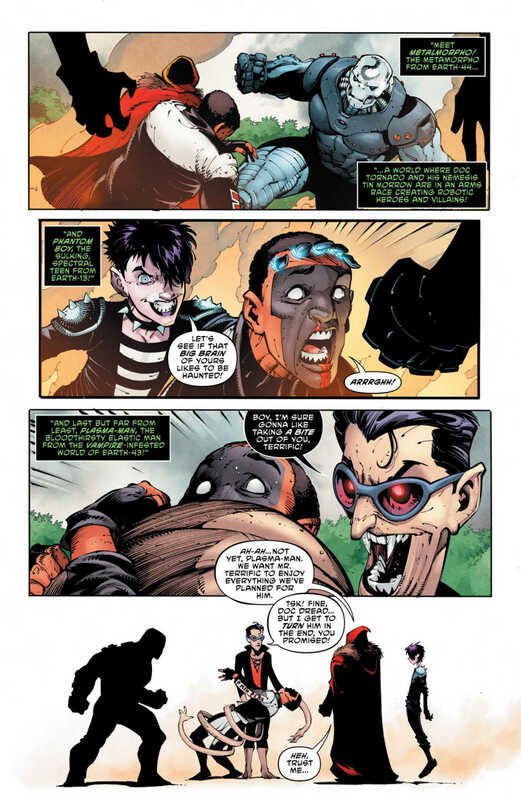 THE TERRIFICS #12 hits your local comic book store on January 30, but thanks to DC Comics, Monkeys Fighting Robots has an exclusive five-page preview for you. 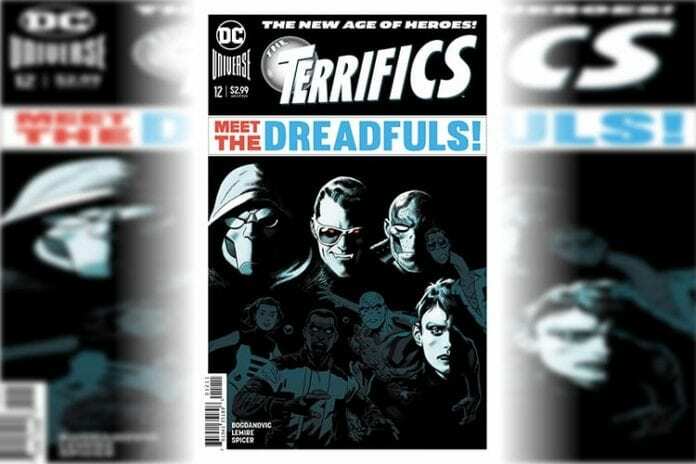 The Terrifics disband, but they’re going to need to get back together if they’re going to save Mr. Terrific from Doc Dread’s new team, the Dreadfuls! Plus, Rex Mason takes a huge plunge, Phantom Girl bolts Bgztl and Plastic Man stretches out the family drama with his son Luke, who’s struggling with his own super-elastic powers. 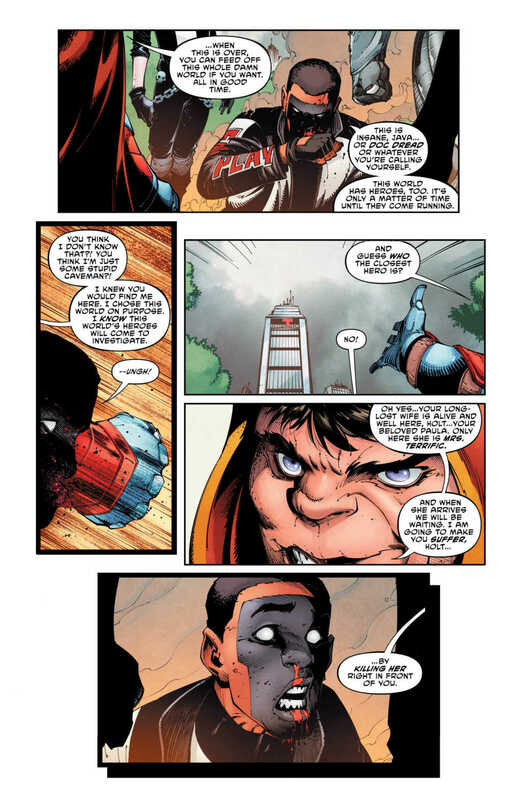 Will our heroes reunite in time to save Mr. Terrific—from an evil version of themselves?! 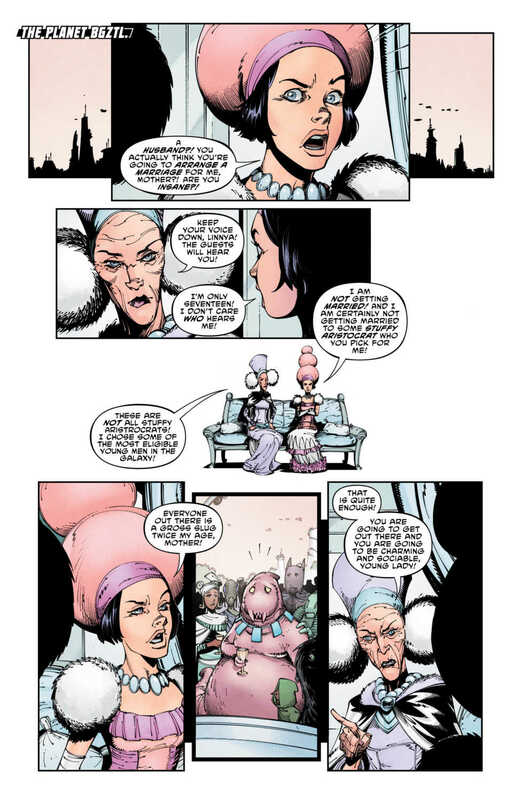 The Terrifics is written by Jeff Lemire, with art by Viktor Bogdanovic, Jonathan Glapion helped out on inks, Michael Spicer worked on colors, and Tom Napolitano lettered the book. 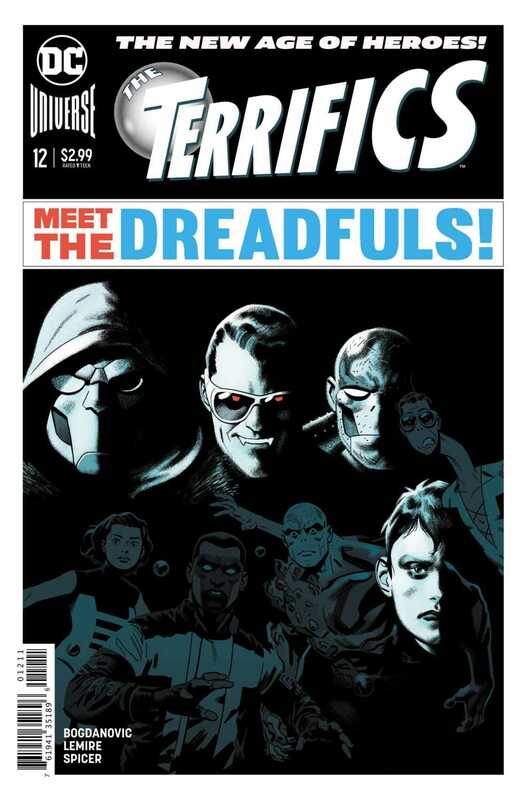 Evan “Doc” Shaner scared us with his “Meet the Dreadfuls” cover. Bogdanovic’s art is straight from Todd McFarlane’s playbook of amazing facial expression with a slight bend towards caricature. 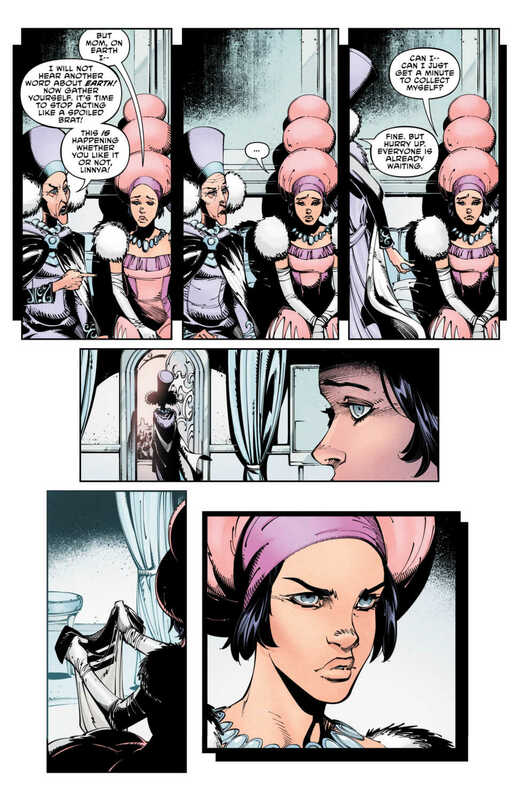 The art in the first page starts in realism with an extreme closeup, but as the book continues you will notice the emotion of each scene takes over and pushes the art in a different direction. 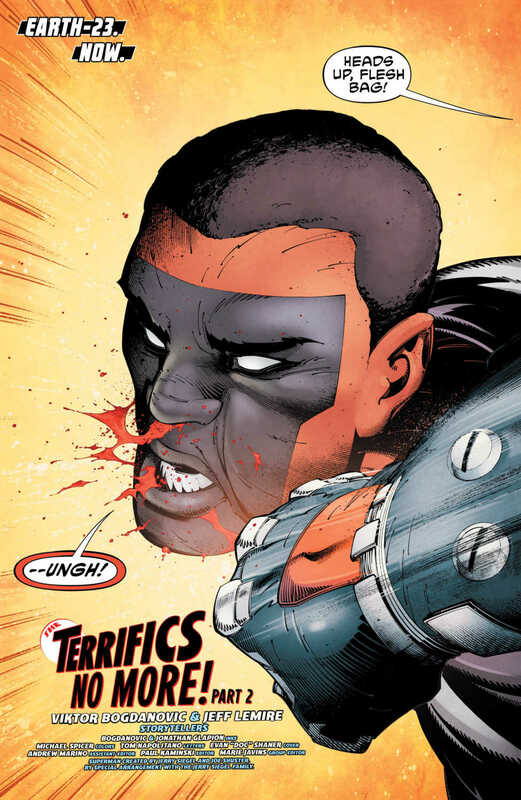 Do you have The Terrifics on your pull list, what do you think of Bogdanovic’s art? Comment below with your thoughts. I was picking up Capullo vibes on all the Bgztl scenes.